a different perspective on fairness. A close friend of mine, is at peace with life being unbalanced at times. The need to keep things fair isn't what drives this friend of mine. And then...there is my kid's perspective on fairness. This child of mine has a strong desire to keep things fair as much as humanly possible pretty much all of the time! 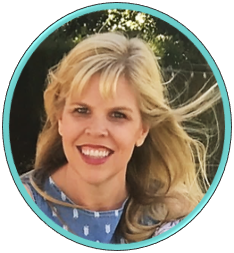 As a mother, this can be a challenging task, because life simply isn't fair all the time. Learning to accept that not everything in life is fair, is a lesson in itself. When thinking about fairness, such terms as equality, justice, balance, and equitableness come to mind. Perhaps a key to being at peace with fairness as a child, is to distinguish between keeping things fair, and keeping them equal. We all know there is a difference between the two, and once we accept that difference, understanding fairness comes more naturally. Role play situations regarding fairness and equality with children. Provide opportunities that question fair verses equal circumstances. For example, reward two children for a job well done. Give one child (who loves sweet treats) a piece of candy. Give the other child (who prefers to play) a small toy. Explain that each child is getting their needs met by being rewarded by what best motivates them. Things do not have to be the the same in order to be fair. Research or interview people with occupations that involve fairness. Examples include: judge, counselor, police officer, coach, teacher, etc. Observe fair and unfair behavior in books and movies. Discuss possible solutions to unfair behaviors. Play card, board, or physical activity games involving fairness. Model good choices, sportsmanship, and how to handle unfair situations. Discuss class or house rules. Are the rules the same for everyone? Why or why not? Should they be the same? How does the concept of fairness relate to rules? In addition to the above suggestions, I created a fun and educational Fairness Packet that may be used by teachers, parents, school counselors, social workers, special education teachers, speech therapists, and other specialists. Included in this packet are activities, printables, posters, awards and more. What ways do you keep things fair in your classroom, home, or place of work? Love this! Even in secondary fairness is such an important concept. Thanks for sharing. Thanks DocRunning. I agree! Even though this packet is geared toward elementary aged children, secondary and beyond can benefit from an acceptance and understanding of this concept. Even adults, struggle with injustices all the time. Hopefully we (adults) learn over time how to properly handle unfairness, and when to rightfully call something unfair. 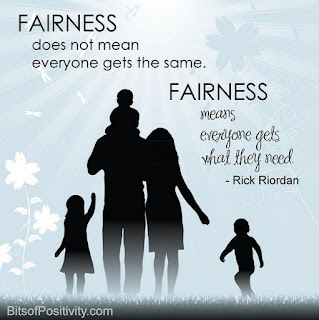 Great explanation of fairness...a concept so many children struggle with! Resources are very thorough too! Thank you! 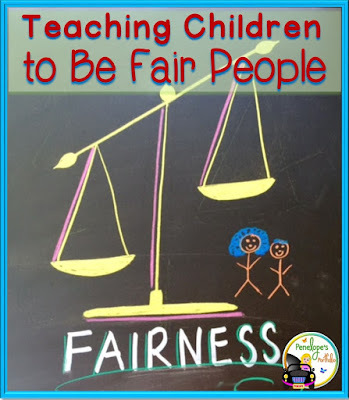 Fairness can be a tough concept for many people, and especially children to grasp. 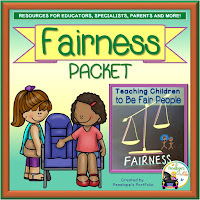 I hope my resources help children to understand and be at peace with the concept of fairness.